A few years ago, an old friend, G. Elijah Dann, had an idea he'd like to edit a book written by a wide spectrum of Christians. Each contributor would share his or her history or perspective of the faith. This would be the group approach to examining a fundamentalist way of life. I wrote a piece and submitted it to him, thinking this would be a good exercise at the least. Gathering my thoughts about my former mindset might help me work through my own history in a healthy manner. But I also had certain misgivings: who'd be interested in reading such stuff? Turns out lots of people were interested. The book is published by Wilfred Laurier Press. Thank you, Gary! See Below. Check out a VueWeekly article of mine on bicycling, which is how I get to school, summer or winter. 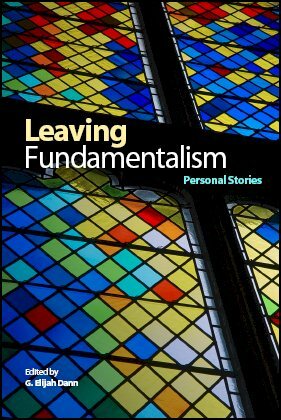 Read a review of Leaving Fundamentalism. Read a more recent review.